Whether your patriotic or not. food is an evidence of our love for our own culture. On June 12, the Philippines will be celebrating 114th Independence Day Anniversary and Philippine cuisine have made its mark on the history. There is indeed a link between food, its evolution and the people behind it and how the country had attained independence. There were actually studies about how foods have played majorly during the times of our declared heroes who have fought for the country's freedom from Spanish to American regime. Even books were published to highlight that, where Jose Rizal's letters, poems and books showed texts involving Filipino dishes. 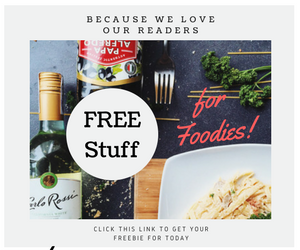 Yes, like us, Dr. Jose Rizal, our National hero, has a passion for food and his love for Philippine cuisine have manifested in his literary works and books written about him. 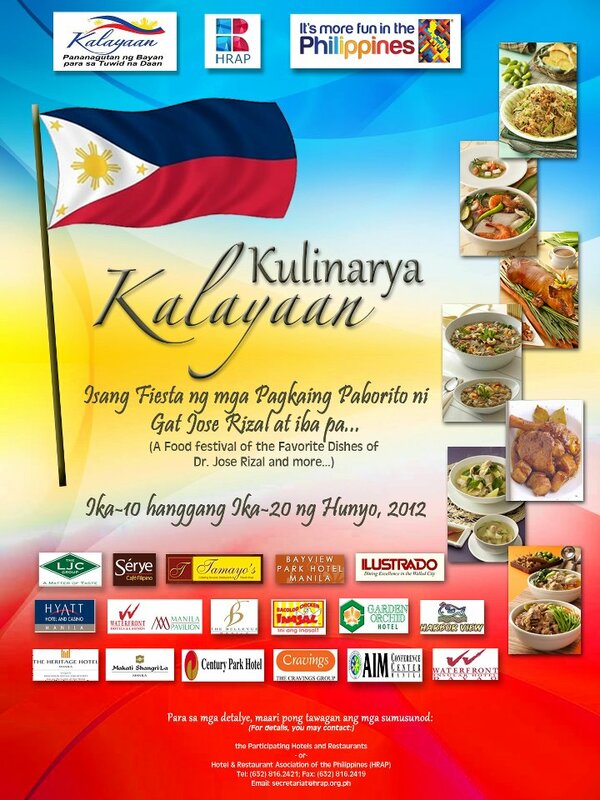 In lieu of this, DOT have invited some media men to take part on Rizal's epicurean trail. Seven of the participating hotels and restaurants have pulled together a gastronomic journey all over the metro to give a taste of what's in store for the diners. Making the commemoration more inviting and educational, even to kids who are not that involved in historical activities. I have found myself eating my way through Rizal's passion for Filipino culinary. Here is my epicurean tour of the seven food establishments that joined in the Kulinarya Kalayaan for 2012. It was a two day event of fun, conversation, and gaining insights about stories behind Rizal's fave Filipino viands, from chefs, owners, Marketing Heads and Executives of hotels. C2 is restaurant of fine classic Filipino dishes with a modern twist. 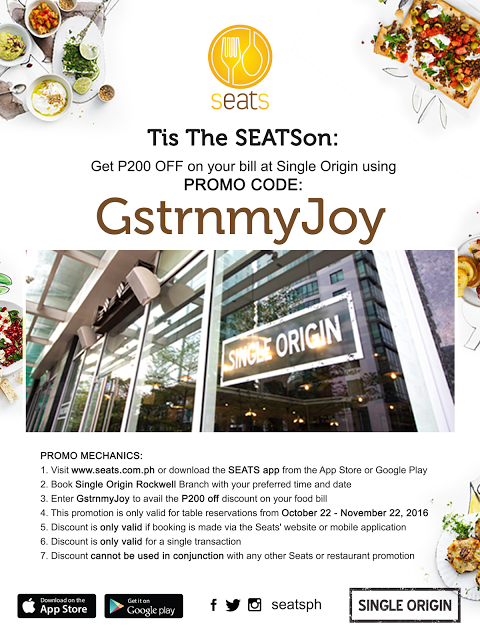 The Cravings Group of participating branches are C2 Greenhills/Shangrilla/Megamall and Robinsons Midtown. Ms. Bea Pimentel, General Manager of Illustrado, was so kind enough to tell us the story behind the creation of the new menu in time for independence day celebration. 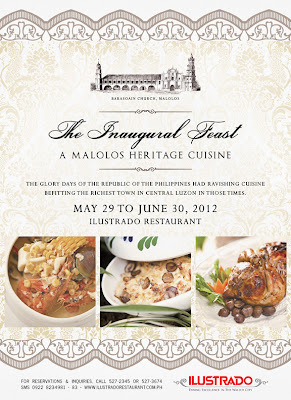 The Inaugural Feast, pays tribute to Malolos heritage cuisine, as part of our Filipino Cuisine and fiesta fare awaited us as we listened intently to the stories of Dez Bautista (owners of famed Malolos heritage mansion) handed down to her. Chef doing a a demo of Chicken Pork Adobo, Chicken Ala King and Grilled Pusit right in the very kitchen of Bayview Park Hotel. The lobby leading to the festive look of the cafe preparing to a Filipino buffet cuisine for P 450 net/per person. The hotel's fare will be extended till July 31, 2012. The Filipino buffet with a choice of soups, salads, viands, with pandan rice and sweet delicacies. Chef JP Gomez, Souz Chef, one of the three brains who conceptualized the menu rendition, which sets to honor Jose Rizal with their culinary flare. Sisters, Ms. Bing and Rose Meim gave us what Rizal's preference when it comes to Sinigang, a dish he craved even when he was abroad and some suman which according to historical texts, Josephine Bracken (hid in the stories as Ms. B) would painstakingly prepare for him. They even us a thing or two about the humble beginnings of Bacolod Chicken Inasal. I will be giving individual write-ups on each of these establishments I have visited and high notes on the dishes that made me feel like I was in heaven, indulging with all the favorite fares of our national hero. The experience gave me a moment of clarity, in full swing, on how Rizal not only made an impact on freedom but also having shared the common passion for Filipino cuisine. Oh cool. 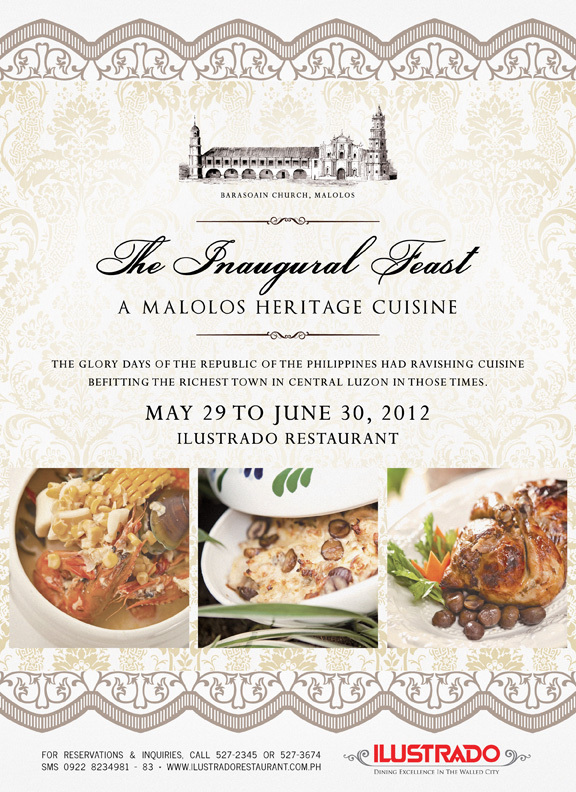 Ill be attending the event tom at Illustrado Restaurant in Intramuros. I am really excited to taste the richness of Filipino culture though foods. yay! Nice to know such event do happen to celebrate our independence. Nice move DOT and kudos to participating restos as well. excellent event! congrats to the organizers! 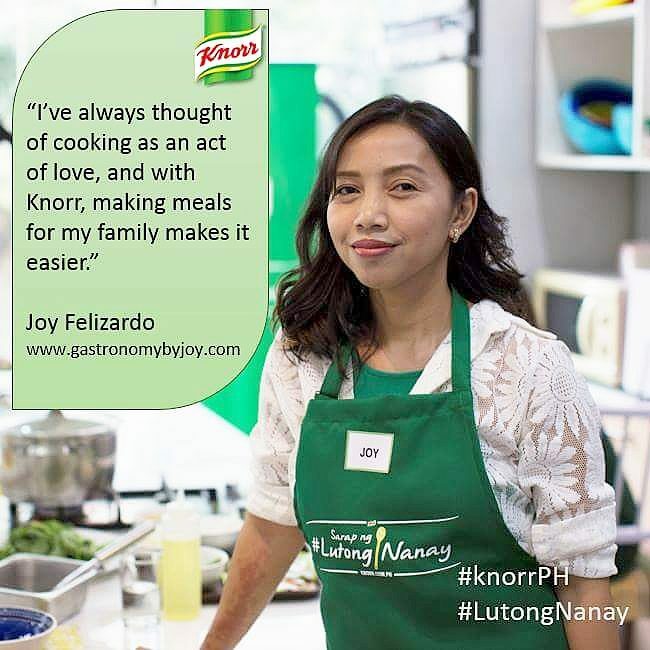 Syempre naiinggit naman ako diba? Oh well ... I might still get to try this on the 20th for free for a shoot I'm doing. 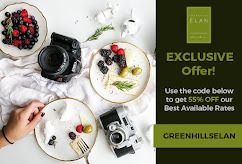 LOL, talagang hindi ko kaya mag food blogger...all these food is enough to give me indigestion! I'm curious to know what foods would be highlighted in the event. Pareho kaya kami ng paborito ni Rizal?